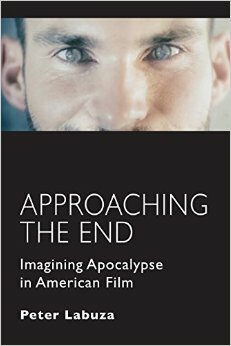 Peter Labuza's "Approaching the End: Imagining Apocalypse in American Film" is now available online and in stores. The publisher was kind enough to provide an excerpt about the timeless "Days of Heaven." The synopsis of the book is below, followed by the excerpt. Tracing a timeline from World War II to the present day, Approaching the End rethinks apocalyptic cinema by considering its relationship to file noir, the fatalist crime genre of the 1940s to 1950s that remained pervasive through Hollywood's changing tides. Challenging the common notion of apocalyptic films as special effects destroying cities through natural disasters and alien invasions, Labuza examines films that truly push humanity to the edge, considering why certain American works have imagined our ends. Starting with the explosive Kiss Me Deadly, the book examines various apocalyptic scenarios and how each ties together through issues of displacement and amorality: from the atomic anxiety of The Big Heat and Lady from Shanghai, to the religious peril of Days of Heaven and The Rapture, to science fiction dystopias of The Terminator and They Live, and ending with the media implosion that is Richard Kelly's Southland Tales. As diverse as these films may appear on the surface, Labuza investigates the hidden structures underneath, which reveal how apocalyptic narratives explore the darker edges of humanity's moral failings. Both “The Rapture” and “God Told Me To” present direct conflicts with faith and their protagonists in a form of skepticism about belief. It is this search for salvation, and the impossibility of such a search that underlies the final film in this chapter—Terrence Malick's “Days of Heaven.” Yes, that Malick film; the one with characters pondering over wheat fields, with magic hour shots, and the sort of transcendentalism that has defined his other works, such as “The New World” (2005) and “The Tree of Life” (2011). As much as this initially sounds like a stretch, I am not the first to identify the noir aspect of the film—David Thomson notes that while Malick's camera acts like it is "seen through immense cultural telescope of documentarian and historian Ken Burns," he declares the plot fundamentally noir. Similarly, Matt Zoller Seitz posits that the main plot "sounds like the greatest novel James M. Cain never wrote." And, of course, Malick's previous film “Badlands” (1973) also featured a similar, fundamentally noir plot that was challenged by Malick's tone—specifically the film's oddly harmonious score and Sissy Spacek's voiceover, which was spoken by a young girl but represented the thoughts of a Buddhist. Thus, if we separate the images of “Days of Heaven” from the actual A-to-B-to-C plot, we find a noir narrative taking shape, and I think the interplay between this noir plot against the Malickian backdrop is key. The film follows lovers on the run Bill and Abby (along with Bill's young sister, Linda) as they make their way west after a murder in Chicago. Bill then attempts to steal the fortune of a dying farm owner through a plan of sexual betrayal using Abby. What is essentially at odds here is that this land—the Texan plains in the 1910s—is supposed to represent an escape from the pains and chaos of the city, a glorious Eden. Instead, these characters fall into the same traps as before, and the physical territory that promised openness and life becomes one of destruction. “Days of Heaven” thus might be one of the most cynical noirs because it essentially translates noir out of the confines of the 1940s and -50s urban moment and into the most idyllic of spaces—anything is now corruptible. The plot begins with murder in the urban world of a steel mill in Chicago. When Bill and his foreman get into a scuffle (what their fight is really about gets drowned out by the sound of machines), the death of the foreman results from an accidental outburst of violence. Malick's closeup on Bill's face emphasizes his surprise that the blow was fatal. Bill might believe the land outside the city will provide solace, but he finds the opposite, and he again turns toward a defiant act. When Bill and the farmer later fight at the end of the film, Malick repeats the confused look on Bill's face in closeup as he stabs him, suggesting that his violent behavior is not so much conscious as inherent to his being. Like Jeff Bailey in “Out of the Past,” he seems doomed to repeat his actions, emphasized through the repeated musical cue of Ennio Morricone's score as the "heading west" narrative starts a second time after they leave the farm. “Days of Heaven” examines how the accidental aspects of violence are more inherent to Bill than a product of his environment (the film is certainly not a case of urban anxiety). The repeated gesture of Bill's murders suggests his own personal temporal dislocation. No matter how many times he can "begin again" (to place it in a Christian context), he will still commit the mortal sin. But “Days of Heaven” operates on both a microcosmic and macrocosmic scale, juxtaposing Bill's tragedy with the constant deconstruction of these myths. The film literally begins in myth with the film's opening credits: a series of sepia-toned photographs accompanied by Camille Saint-Saëns’s "Carnival of the Animals" creating the immigrant narrative, an "innocent" time that is set before the First World War (the presence of an Italian fighter plane is more a curiosity than a sign of annihilation). The narrative is also that of the promise of the American West, a society where one can begin life anew. And even more essential to the film's noir narrative is the allegorical uses of Biblical allusions. Malick presents only a brief glimpse of Bill's factory life, and posits a cure to his urban anxiety by traveling to the "Promised Land"— Hubert Cohen notes that the film's title comes from a reference to the "land of milk and honey" in Deuteronomy. The physical land thus acts as a temporal space of the past, a time of innocence made into a physical space. However, this supposed spatial heaven, which seems like the promise of an afterlife, has been plagued with the same troubles as human society. Bill is cheated out of his wages, scorned by others for his love of Abby, and still sees himself as "below" others, most notably the farmer who can possess all he wants (at least from Bill's perspective). His vision of a land of plenty is turned to a land of little, so he turns toward sin once again in order to claim what he believes is his. By plotting against the farmer (a plan that goes awry when the farmer sees the two kissing in silhouette, a shot that directly recalls film noir's shadows), the film turns its biblical images from ones of hope to ones of destruction through Old Testament references and imagery. In Genesis, Abraham attempts to pass off his wife Sarah as his sister, which is repeated here as Bill tells others that Abby is his sister. While Abraham does this to preserve Sarah's innocence, Bill instead uses this deception to force Abby to betray the farmer's trust, knowing he will die soon. Sarah marries the King of Egypt but God's intervention prevents a sexual betrayal. Bill, trying to play the role of God, forces Abby to not just bed the farmer, but continue to join him in midnight trysts at the river. While it is Abby who commits the betrayal, Bill forces it—it is his eyes that look upon the land in desire and decides to break out of his current situation. He defies his status as a low-wage worker in a beautiful landscape, thus reclaiming his own autonomy. Malick juxtaposes the human conflict with the conflict of nature through biblical, apocalyptic imagery—the swarms of locusts, but especially the repeated depictions of fire. There are fires in the opening shots at the factory; in an early moment of the harvest, as the camera gazes into one of the tractors; in a brief mention by Linda during the voiceover recalling Ding-Dong's story of an apocalyptic fire; and then, finally, during the fire that destroys the crops. Bill's fights with the farmer seem to be what leads to the plague over the society, and by the end he has burned down this Eden. He then dies by literally plunging into the water, which Malick frames from below like a baptism, as if death is the only way he can return to a state of innocence (Figure 3-3). The film's various biblical allusions are all given noir-like twists, as Bill does not find rebirth in this land of innocence, but instead finds himself in another version of the same unforgiving landscape, and is thus compelled to commit the same defiant acts. The apocalyptic visions of the narrative thus act as a cosmic expansion of temporal dislocation. From Adam and Eve to now Bill and Abby, the story of man's fall repeats itself again and again—the plot in repetition, much like in “Out of the Past.” Malick reminds the spectator of these past myths, enacting this story into the larger cosmos. His camera thus takes a disinterested stance, focusing instead on the images of wheat and sky, seeing Bill's plot as a natural event as common as the seasons. As the voiceover by Linda explains, "If you've been bad, God don't even hear you. He don't even hear ya talkin'." Bill never realizes he is only a small part of this great human narrative, that his actions are meaningless within the greater scope of the world's movements. It is perhaps crucial that Malick's film does not end with Bill's death, as he undermines it by following Linda's narrative instead, showing how the repetition begins again as Linda escapes her school for the wheat fields in the final shot, less an ending than a feeling that the reels in the camera have run out. Even in attempting to break out of the repetition, Bill ends up as part of a larger narrative outside himself, temporally dislocated from even the plot of his own film, creates a world wherein this destructive postwar dislocation is more universal, the anxieties present in noir no longer specific to one time or place. His characters see an actual space as somewhere the return to innocence can be achieved, by searching out a land literally set in the past, but it contains the same failures as always: The defiant act instead leads to his own destruction. And through it all, the hint of apocalyptic doom hangs in the air—World War I is on the horizon, and before the farm has burned down, his foreman tells him that the harvests are becoming worse and worse. The flames have stopped, but perhaps they will continue; the innocent girl has escaped into the wild again. Malick's films have always been noted for their seeming indifference to the world, or better said, the harmonious act that connects man to nature in one grand schema of "all things shining" to quote a character from “The Thin Red Line” (1998). It is interesting to note which Malick films embrace this feeling wholeheartedly and which ones rely on the undercurrent. “Badlands,” “The Thin Red Line,” and “The Tree of Life” have all been about the search for peace in a world of violence and meaninglessness. But for me, Malick's three masterpieces are his films that work the opposite: “Days of Heaven,” “The New World,” and his last film, “To the Wonder” (2012). The latter two feature characters that are pure embodiments of nature and harmony, only to be contained and fenced in, the modern world always encroaching on nature. “Days of Heaven” remains Malick's most poignant because it is also about characters searching for redemption in nature, in God's physical Eden, only to find that their promise of a new beginning will once again become trapped and contained, eventually consumed by the fires of the end times. Who knows how long this world will last? The fires will always travel on.